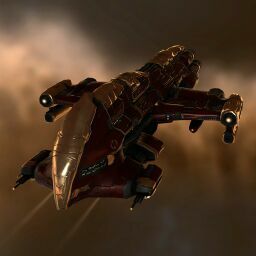 The Absolution is an Amarr command ship designed as a laser boat. It is, generally speaking, a better damage platform than the Damnation, but is considerably less tanky. Further information about additional or recommended skills to pilot Absolution for a specific or it's common role(s) can be written here. No sub-article about Absolution roles or piloting tactics. You can write them here. You can write additional notes for Absolution here. This page has been accessed 53,978 times.